No flimsy materials, no easy to break structures. 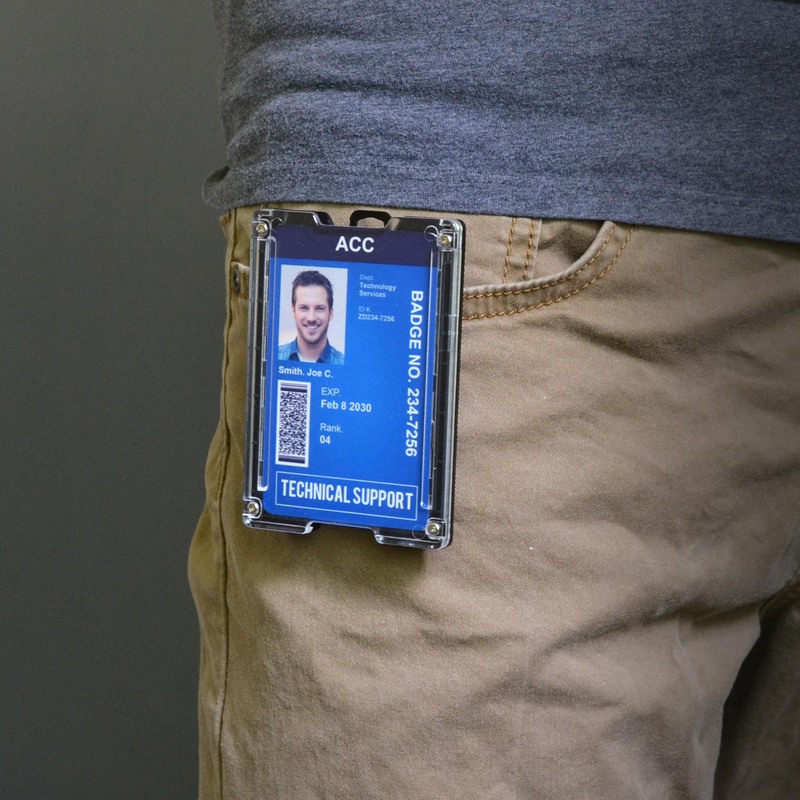 CARRY YOUR ID BADGE IN THE MOST CONVENIENT WAY. NO WORRIES OF CARD(S) FALLING OUT. 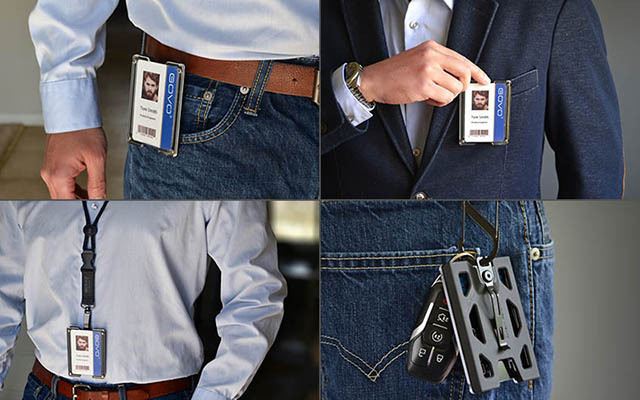 ENJOY MULTIPLE WAYS OF CARRYING YOUR ID BADGE. It is hard to break, seriously. Overall lifetime cost is lesser than others. 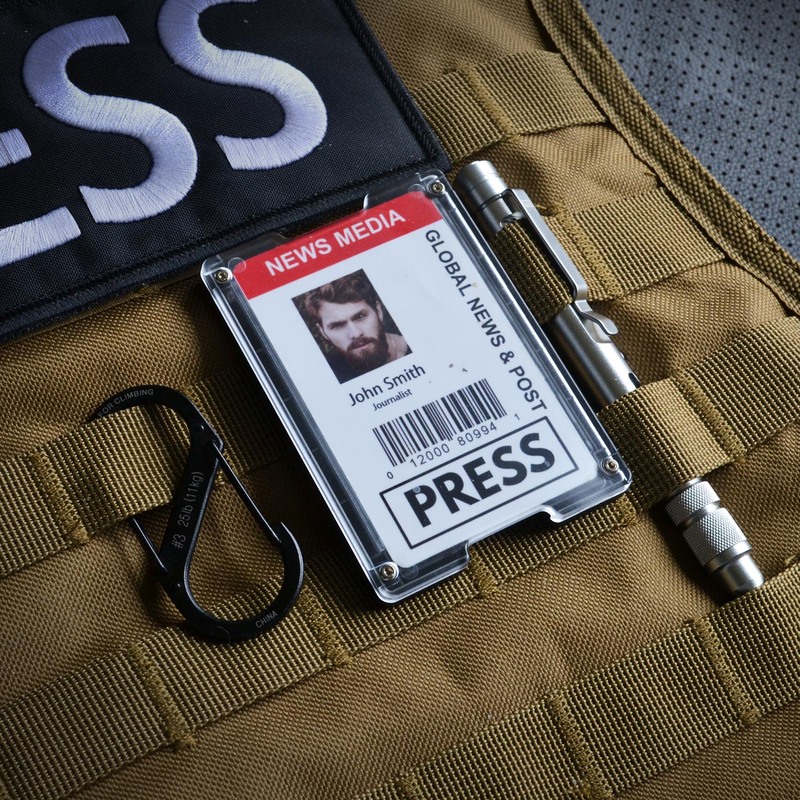 You might be able to save more money up front when you buy a flimsy badge holder, but you must also be ready to replace broken ones every couple of months. 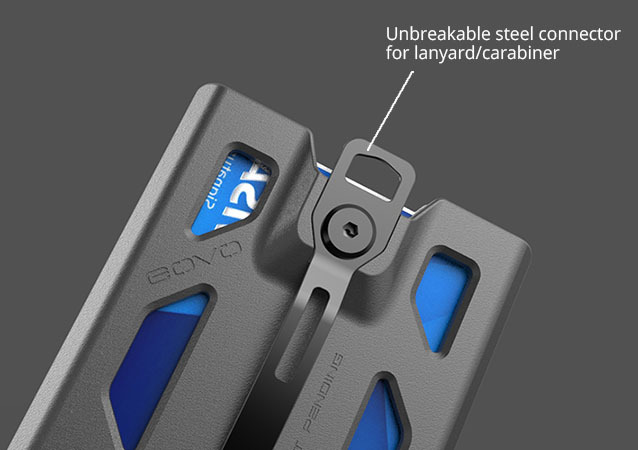 GOVO Badge Holder/Wallet is well-engineered such that you don’t have to spend extra time and money on replacements. No scratches on the inner side of screen. 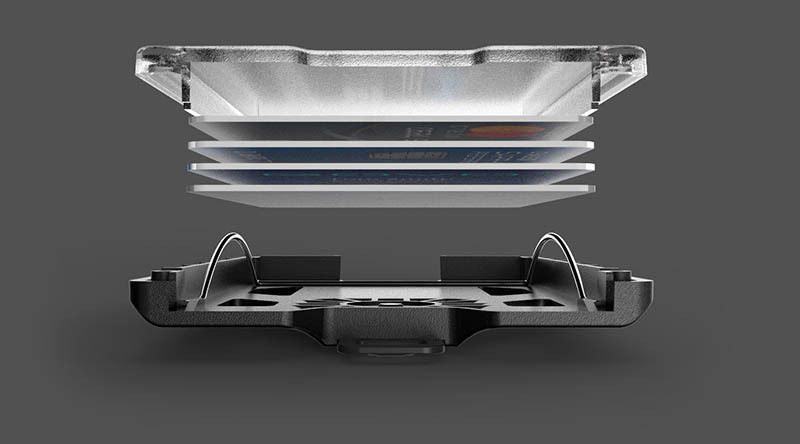 Many competitor designs leave scratches on the inner side of the screen when inserting or removing cards; this will eventually decrease the transparency. 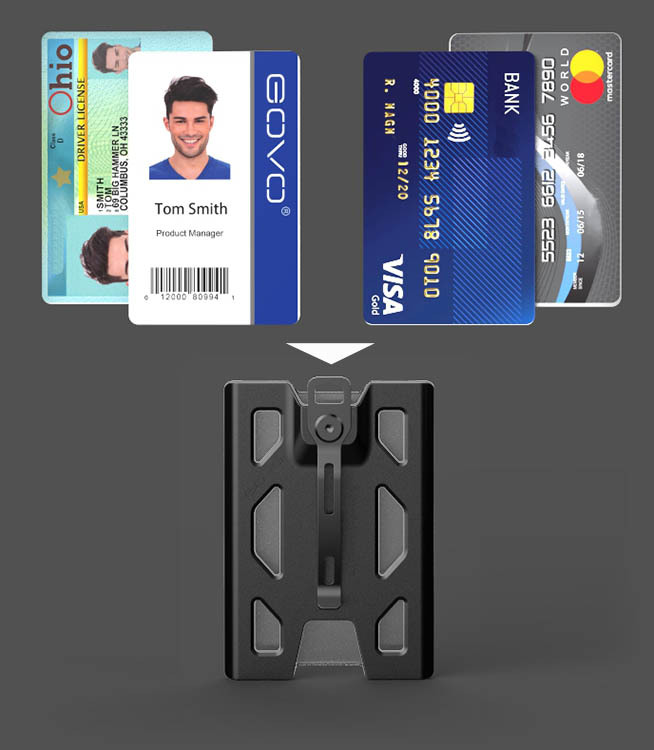 GOVO’s updated version has two rails inside the screen to ensure the card does not touch the screen so no scratch will be made on the inside. The screen is stronger and clearer. GOVO’s screen is made from polycarbonate which is the same material used on fighter jet cockpit covers. Our engineers ensure better transparency of the screen by using high-grade materials. The screen allows text, photos, and even barcodes to be clearly seen. Many nylon or leather badge holders use soft PVC/PE screen that often makes ID card fade and get the photo embedded into the screen. It is very smooth to move cards out. 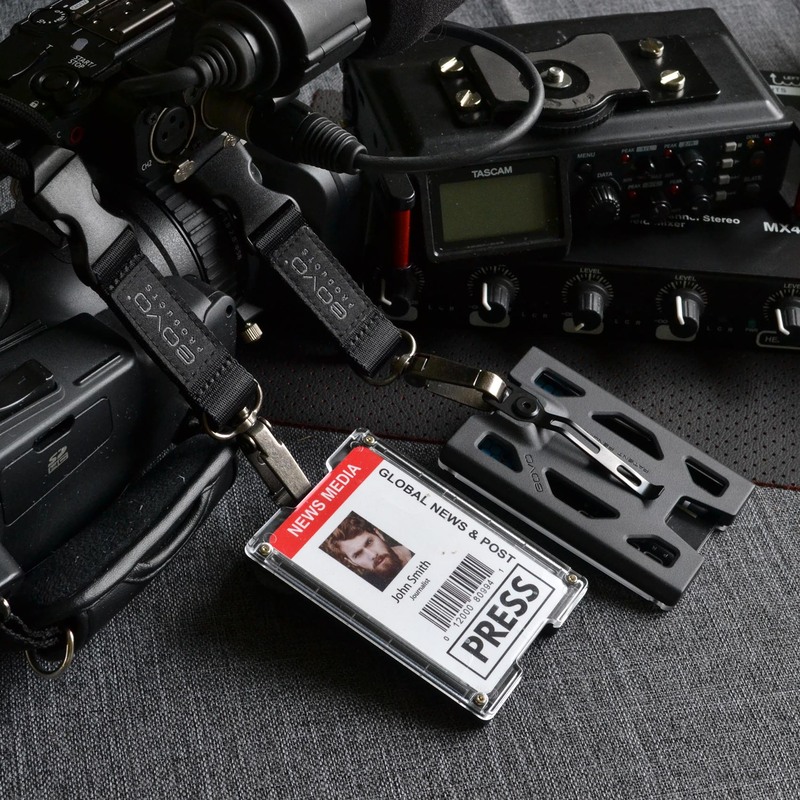 Moving cards in and out is very smooth, easy and convenient on GOVO Badge Holder. All you have to do to get your ID or credit card out is to simply push them out from the bottom, even when a lanyard is connected. It won’t hurt your cards. GOVO’s internal spring holds cards by pressing the side area of the card with a round and smooth surface. This will not cause any damage to the magnetic stripe and photo or any other information printed on your card. It can be used as a wallet. 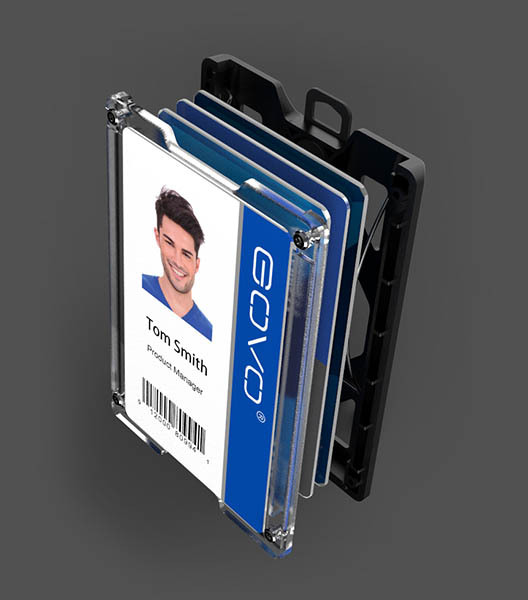 GOVO Badge Holder can hold up to 4 cards of standard credit card size. This could be one ID card, one driver license and two credit cards all at once! 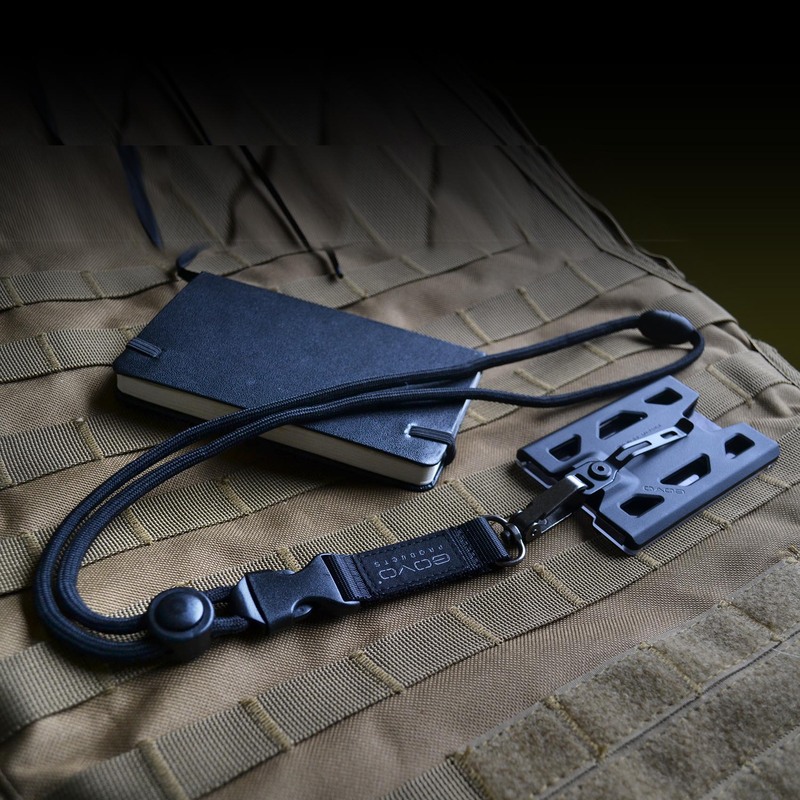 The clip can also be used to hold cash. 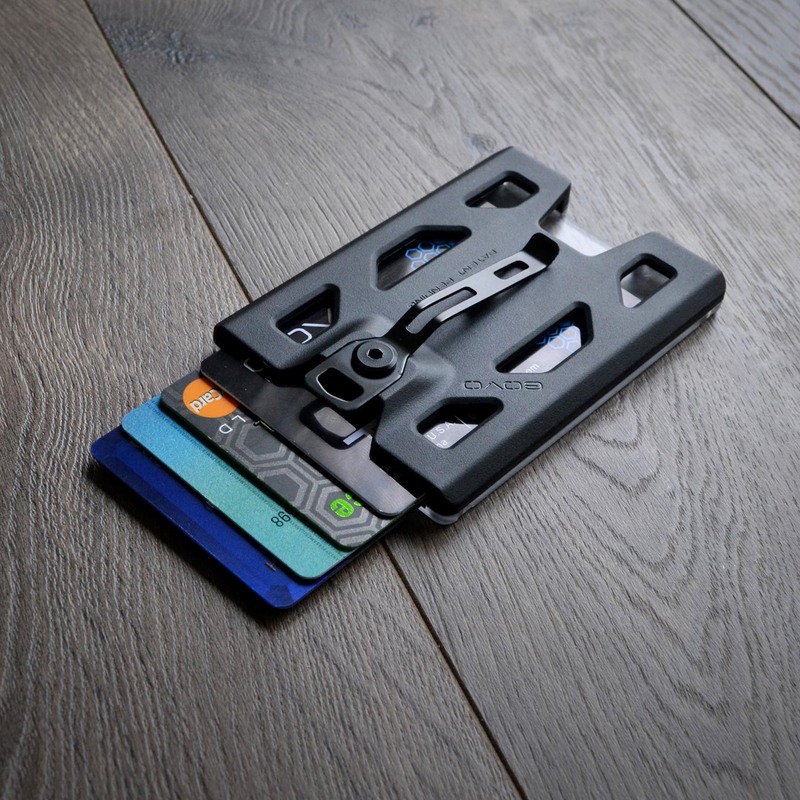 With GOVO Badge Holder, you wouldn’t need to carry a wallet around anymore. 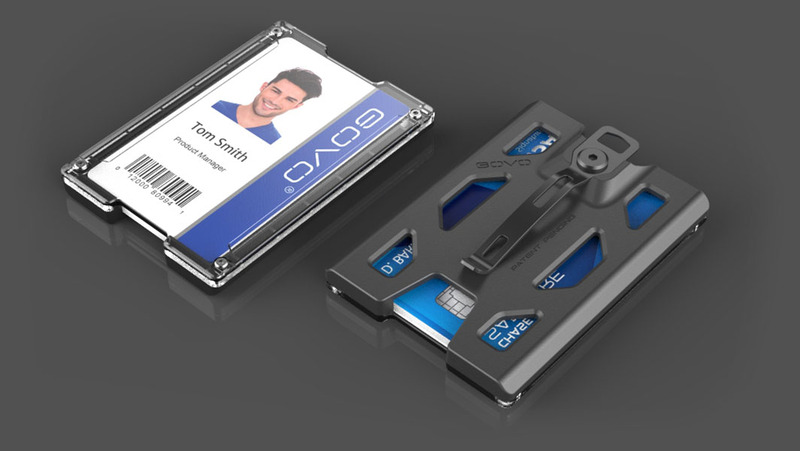 GOVO’s revolutionary multi-carry design let you carry your ID badge/cards in as many convenient ways as possible. 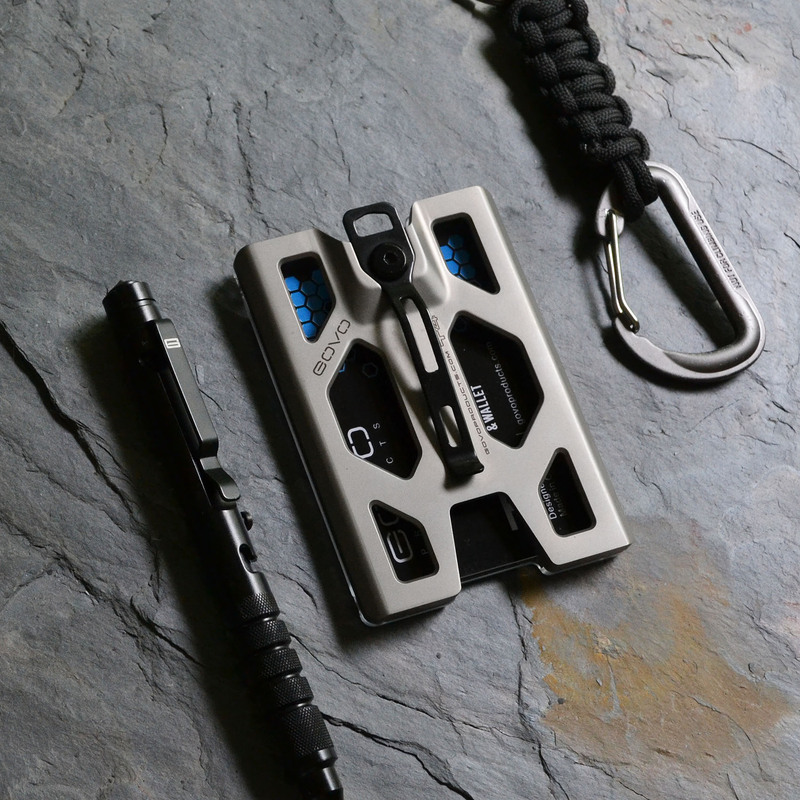 You can carry it with a lanyard, carabiner, keychain or clip it on a pocket, belt, clothes, backpack, anywhere you want. 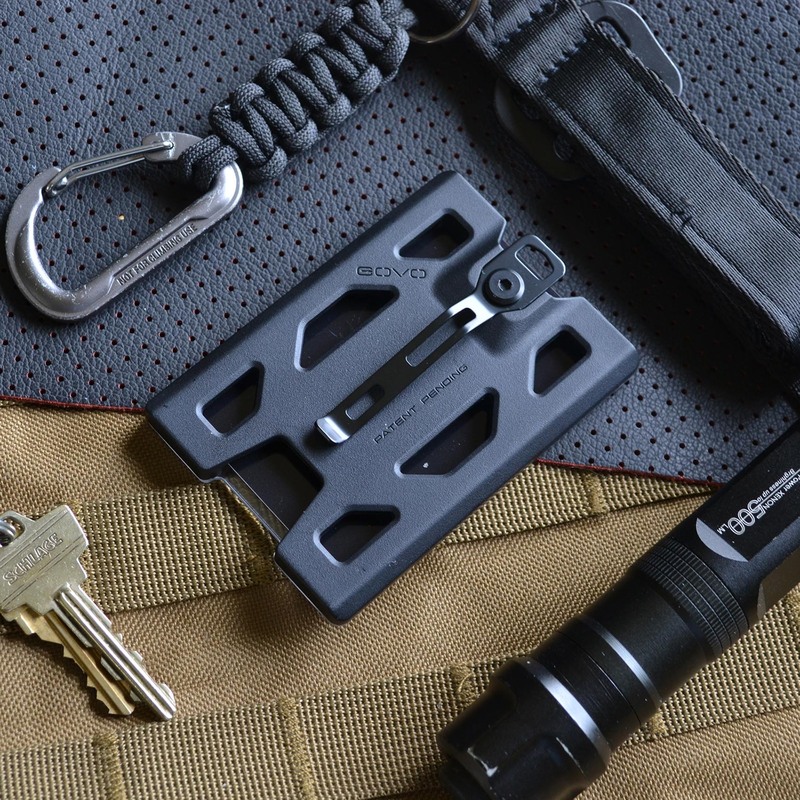 The clip will hold tight and stay in position all day long. Why is this important? Many competitors use plastic connectors, but plastic connectors will end up breaking in a short time. 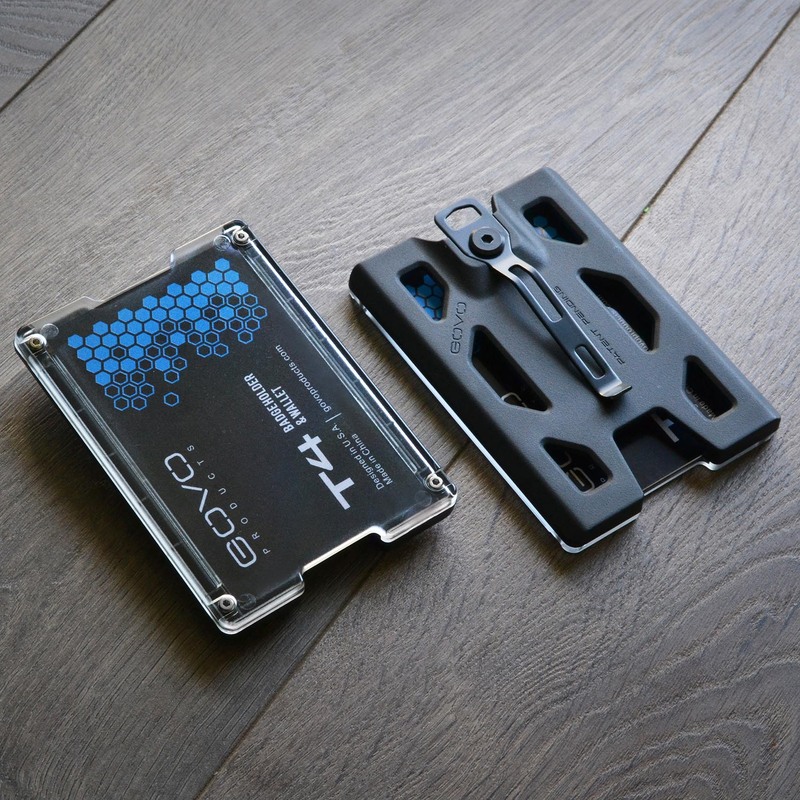 Some products use metal, but the connection to the holder itself is weak. Broken connector means you can lose your cards at any time without notice. Our connector is made of steel, and it is secured on the holder by steel fasteners. 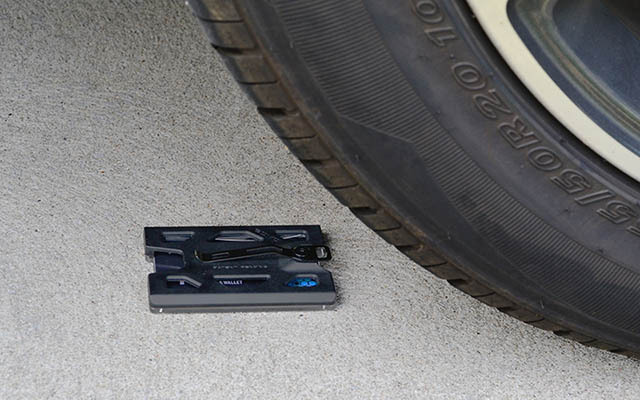 The connector can hold up to 50 lbs force; you have nothing to worry about. Holding cards in a more reliable way than others. 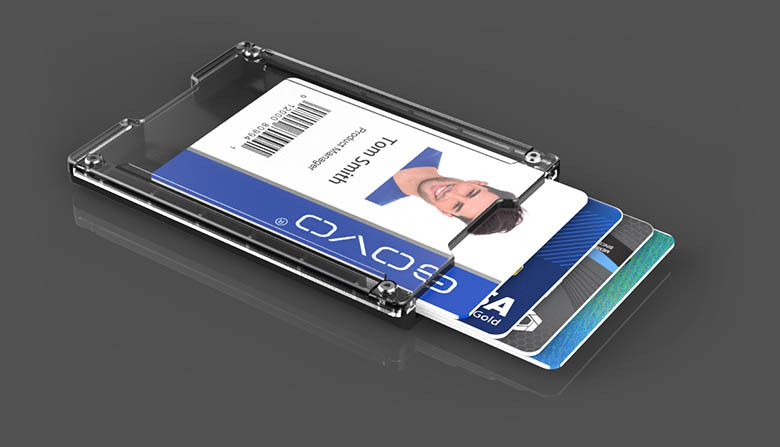 Most ID card holders use plastic snaps to prevent cards from falling out. It will definitely lose its resilience after some time when loaded with cards. Some leather card holders use the leather pocket to hold cards but it is not so convenient to fish out cards from them plus the leather will get worn quickly. 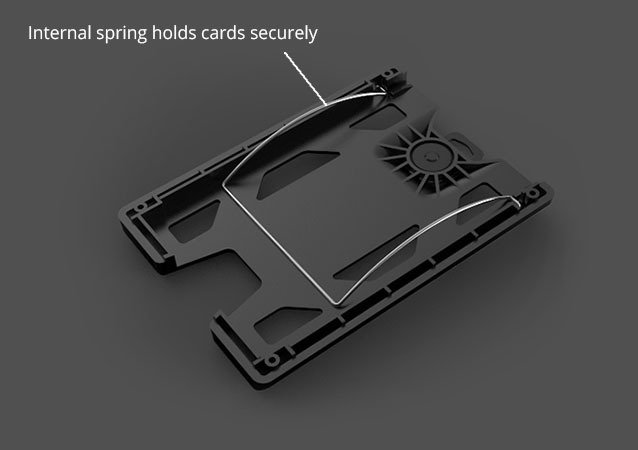 Our patented Internal Spring System helps card stay securely and in position, regardless of whether it is loaded with 1 or 4 cards. The elasticity of the metal spring almost last forever.